On Saturday January 30th, in Fort Erie, Ontario, SBG Niagara Coaches Brandon Peshko, Jermaine Chandler and Justin Cronkwright will be stepping into the cage to represent SBG in Niagara's first ever Amateur MMA Event. The guys have put in the time , effort and work to earn the right to step into the cage and represent the SBG TEAM. SBG athletes always come prepared and ready to put on a good showing. We look forward to this fantastic opportunity to compete in front of the hometown crowd. 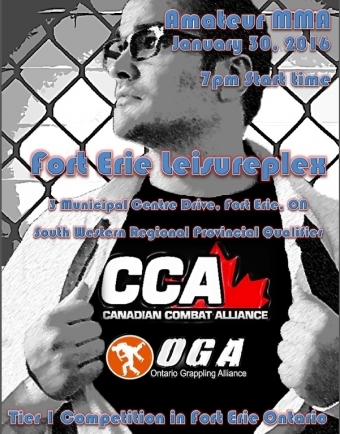 If you would like to come out and support TEAM SBG Niagara, you can stop by the gym to get tickets.